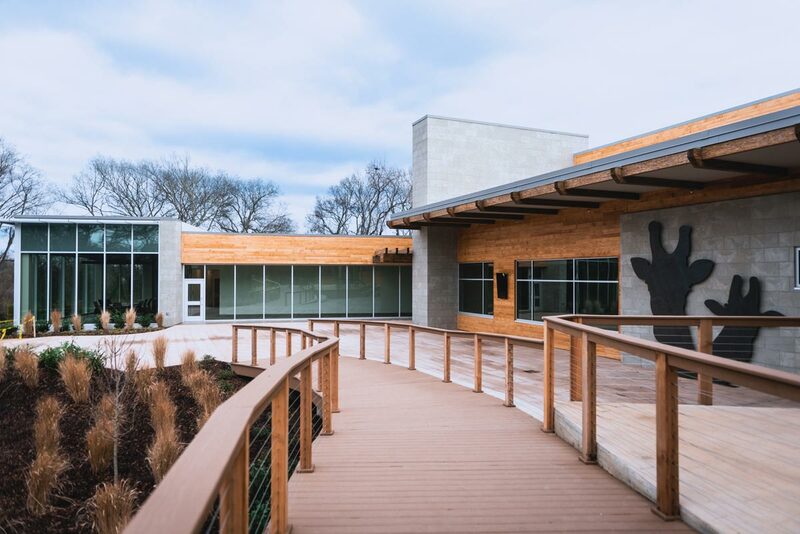 Nashville Zoo’s new 23,677-square-foot Veterinary Center replaces a 30-year-old facility originally designed for a much smaller wildlife park housing indigenous species versus the exotic animals that now call the Zoo home. The level of care we’ve always provided our animals is now matched by a state-of-the-art facility that is designed to promote the health and safety of our animals, all while educating our guests about animal care, conservation and research. Check out our veterinarians' Twitter account for the latest updates! Take a look at the new facility! Guests will now be able to see firsthand the incredible care our animals receive. The Veterinary Center is a destination for Zoo visitors to discover firsthand how animal care is delivered. A covered observation deck, featuring tiered seating, allows up to 200 people to witness surgeries and other procedures as they occur. The treatment rooms feature cameras connected to monitors on the observation deck, providing guests with an even closer view of our top-notch animal care. Additional viewing windows look into the animal nursery rooms where guests can watch feedings and the care of the Zoo's newest additions. 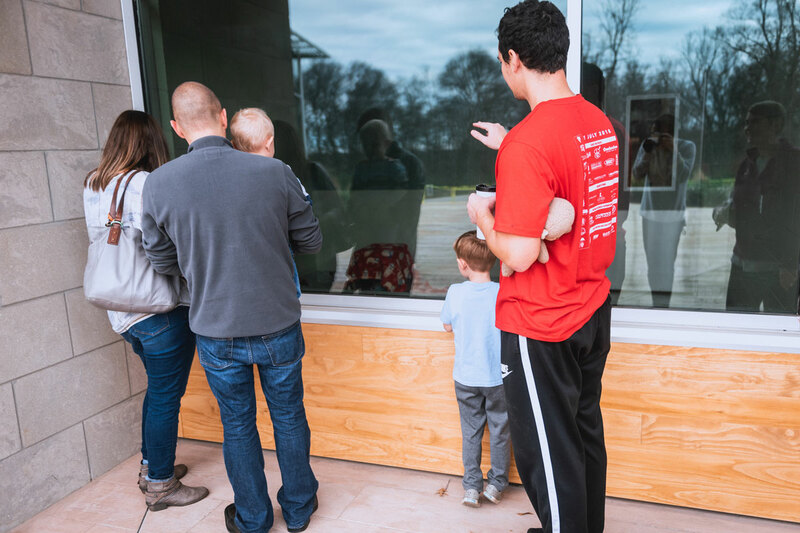 Docents, keepers and veterinary technicians will join visitors on the observation deck each day to answer questions and explain the animal care guests are witnessing. Adjacent to the main lobby, a large classroom, conference room and multi-functional spaces will attract a variety of community groups. These areas will also provide a location for education programs, revenue-generating special events and after-hours programming. Public traffic is separated from back-of-house functions to enable staff to perform daily tasks and to ensure animal, staff and visitor safety. In addition to features designed to minimize animals' travel times and anxiety levels during transport, treatment and holding areas also incorporate daylighting to help preserve animals’ natural circadian rhythm throughout treatment. 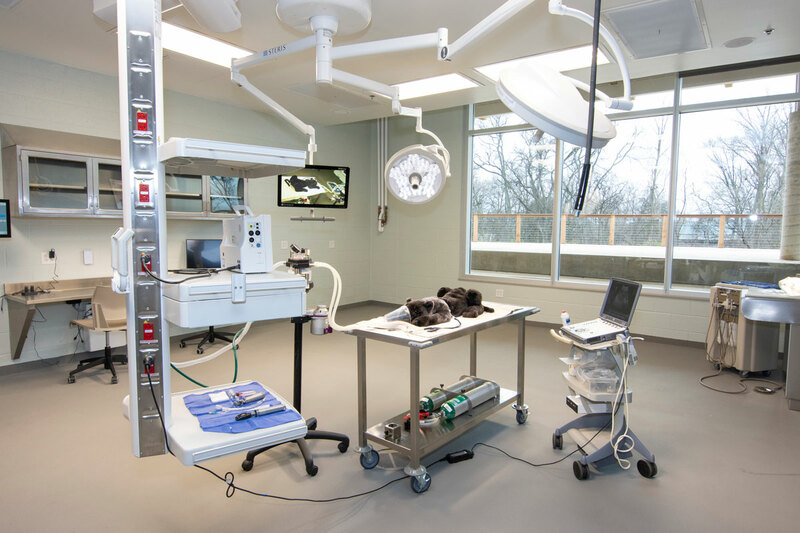 The hospital features a push alley (permitting animals to walk themselves to the treatment room), induction stall (allowing anesthesia to be administered remotely) and electric lift, all of which promote animal and staff safety. While designing the new facility, Zoo staff traveled to 13 different zoos, pulling together the best technology and design ideas to create this animal health center. Agneta and Brownlee O. Currey, Jr.